It's that time of year, and while the thought of flowers in bloom and gorgeous weather has all of us greeting the spring season with joy, the thought of spring cleaning fills many with dread. But it doesn't have to be this way. What if by incorporating the right hacks and tips you could make spring cleaning easy, so that when you hear those two words, all you think of is the pleasure of having a truly clean home. Dryer Sheets Are for More Than Laundry: Dryer sheets seem like single-purpose items, but they're actually a great tool for cleaning up around the house. 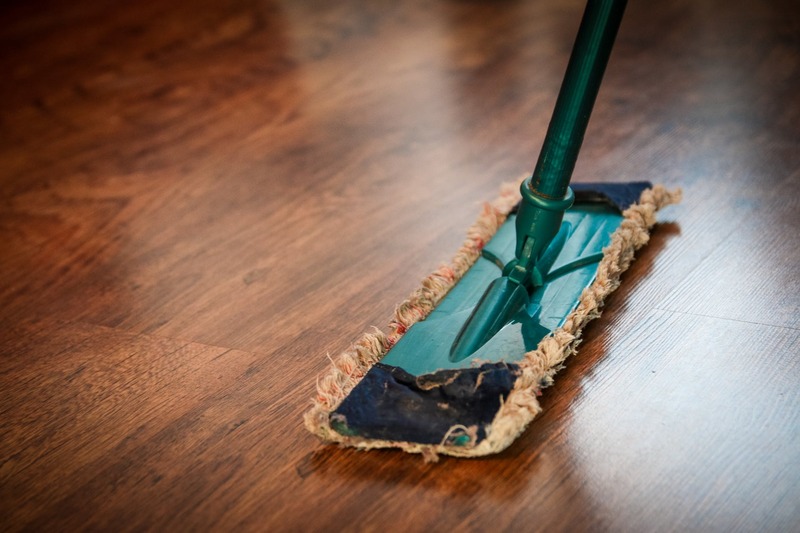 They're perfect for those hard-to-clean spots like floorboards and molding where dust just seems to gather. And they're also great for getting rid of the type of build-up that can start to feel like a permanent fixture on bathroom glass. Sick of Chemicals? Go Natural: You might think you need a whole slew of chemical-laden (and expensive) cleaning products to get your spring cleaning done, but you'd be surprised to find out how effective and affordable completely natural household items can be for cleaning the apartment. Just plain old white vinegar, diluted to 50 percent strength with water, does an incredible job battling mold, mildew and just general dirt. By mixing it with baking soda, you have a powerful scrubbing cleaner that can also deodorize a drain. (Wear gloves if you're going to use a lot of it because, even though it's all natural, those powerful scrubbers can irritate your hands.) Baking soda on its own can also clean the toilet and boost your laundry detergent's power. A plain old lemon does a great job of removing water stains, and check out this method of cleaning a tub with a grapefruit and salt! Skip Getting Overwhelmed: Instead, schedule your spring cleaning over several days, and break each day's cleaning into manageable and realistic goals. Perhaps choose a different room each day or a different project that requires similar actions, like cleaning all the windows and window treatments one day and sorting clutter another. Our Greensboro apartments with amazing walk-in closets, linen and coat closets, exterior storage, washer/dryer connections, an in-house clothes care center and pet stations make it a breeze to keep your home clean. Check out our website to learn more about our many amenities and to schedule a tour.